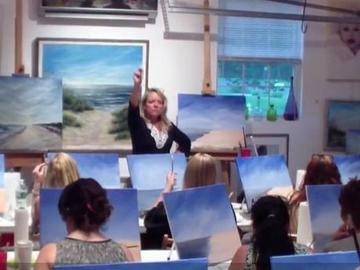 Kick back, relax, and let your creative spirit shine while I instruct you step by step in completing your masterpiece. I supply all of your art materieals and instruction - you supply the refreshments. Two and a half hours later you go home with your very own "masterpiece"! It is fun, instuctional but most of all relaxing!